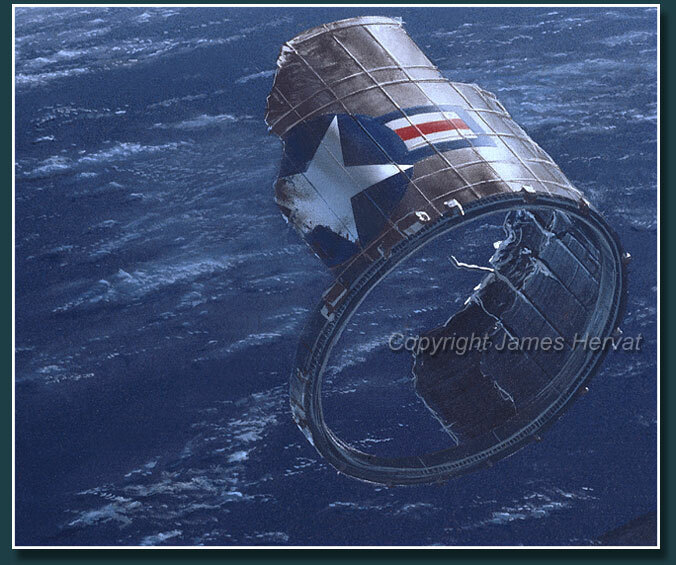 Orbiting Debris by James Hervat - A remnant of an exploded Air Force launch vehicle threatens the Hubble Space Telescope. 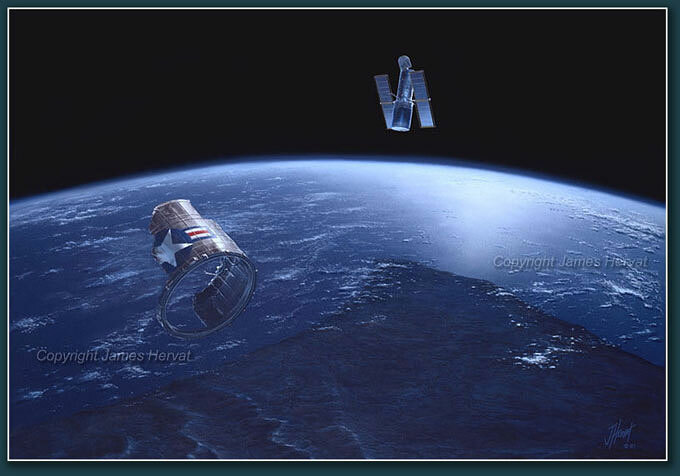 Orbiting Debris (1987) - An orbiting remnant of an exploded Air Force booster bears down on the Hubble Space Telescope. Thousands of potentially hazardous pieces of "space junk", large and small, are being tracked in earth orbit. Even the smallest fragments traveling at orbital velocities can have lethal consequences. Publication: Astronomy, Scholastic News, Kijk (Netherlands), Geo, (Germany).